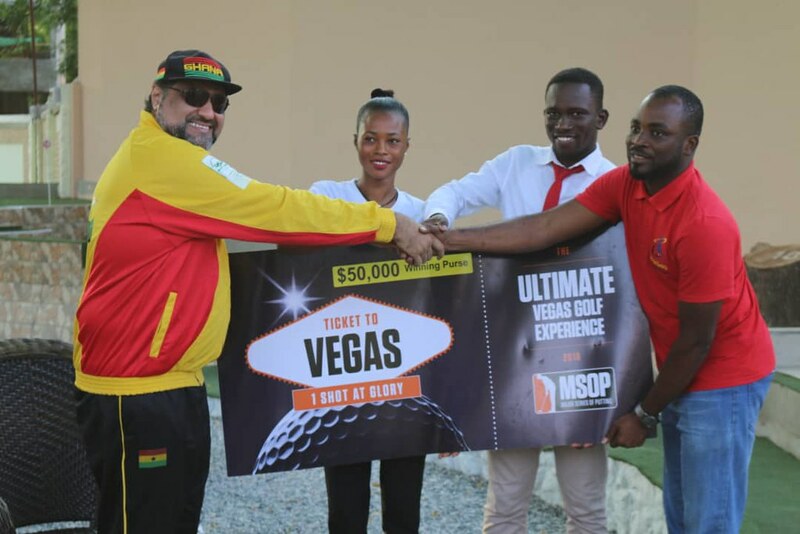 Accra, Ghana � The first Coca-Cola Open Africa Minigolf Championship was held from July 25th to July 29th, with players from across many nations battling for the top shot and a chance to appear in the Major Series of Putting (MSOP) event in October in Las Vegas, USA. The tournament featured three events over the weekend: individual stroke play (both men�s and women�s divisions), mixed pairs and a knockout event. Over the various events, 90 competitors took their putters to the greens, representing 15 African nations and 3 guest European nations. 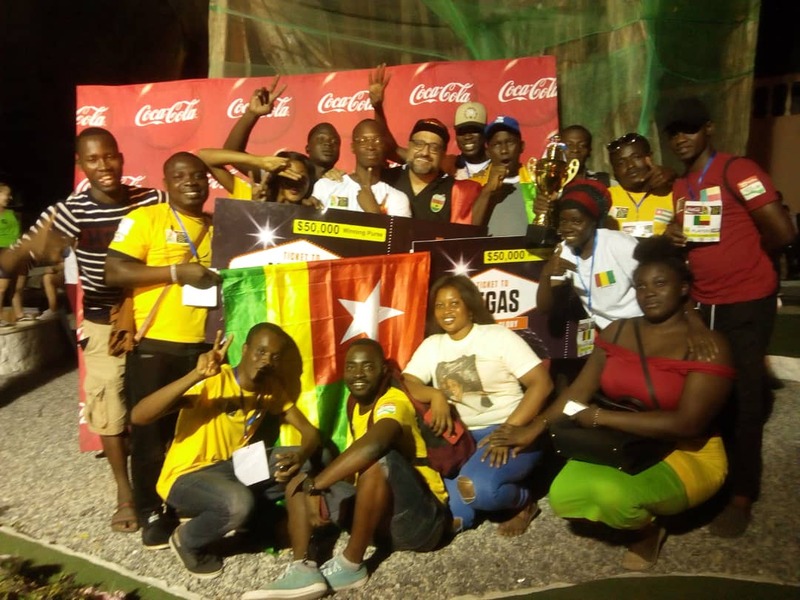 The guests were not eligible to win the title of men�s, women�s or mixed pairs African champions but were eligible to win the knockout event. Kelvin Boateng from Ghana was the overall winner and the winner of the men�s division, being one of only 4 players to card a score below 36 for the weekend. He opened his tournament with a 35 and closed the stroke play tournament with a 36. He would total 202 over the 5 rounds of stroke play. Aboubacar Kourouma from Guinea recorded an overall 214 for second place overall. Both men secured spots in the MSOP with their scores. Kelvin believes his win in this event positions him well to be a spoiler in that major tournament, featuring some of the best minigolfers and putters from around the world. In the women�s division, Gladys Kpatchi of Togo took the top spot with an overall score of 224. The low score in the men�s division belonged to guest Christian Pannek of Germany, carding a 195 and guest Alice Kobisch of Germany would shoot a 192, earning her the low score of both the women�s division and the stroke play tournament overall. In the mixed doubles tournament, the first four rounds of stroke play were used in the mixed doubles tournament and added to a final round where the players in the team play one ball and alternate the player after every shot on each lane. Kpatchi and her partner Arthur Somasse would take the top spot, posting a combined 415. They would triumph over Yvonne Yirenkyi and Maurice Offei of Ghana, who shot a 429. The final tournament of the weekend was a Knockout Cup where the winners of various groups moved onto another round to play other winners. The final group then played a knock out format during the final round where the best 5 players continue after lane 6, best 4 continue after lane 9 and the best 3 players continue after lane 12 and will finish the round to determine the Coca-Cola Knockout Champion 2018. Guests Pannek and Kobisch were eligible to win this tournament and showed their strength, tying at the end of the final knockout round. An ace on the difficult hole 18 in the playoff won Kobisch the tournament. The final results of the stroke play tournament can be found here (rounds 1-5 for the players listed), along with the preliminary rounds of the mixed pairs and the knockout round progression. The final results of the mixed pairs tournament can be found here. Special awards were also handed out to Maruf Ahmed of Ghana (Most Consistent), Lina Fattal (Youngest Player) and Forbes Club (Most Progressive Club). Pannek, Karl Lakos of Austria and Mokolla Byldie of Gabon were also named the Most Valuable Players of the competition. Participants had great things to say about the tournament as seen in many social media posts, including the wonderful levels of participation both during the tournament and at the opening ceremony. Mr. Talal Fattal, Secretary General of the African Minigolf Federation, commended the players for their competitive spirit and enthusiasm of all the participants, with special mention of gratitude to Mr. Ibrahim Kaba, President of Francophone associations in Ghana, for his joint efforts with the organizers to register more African countries for the Championship. 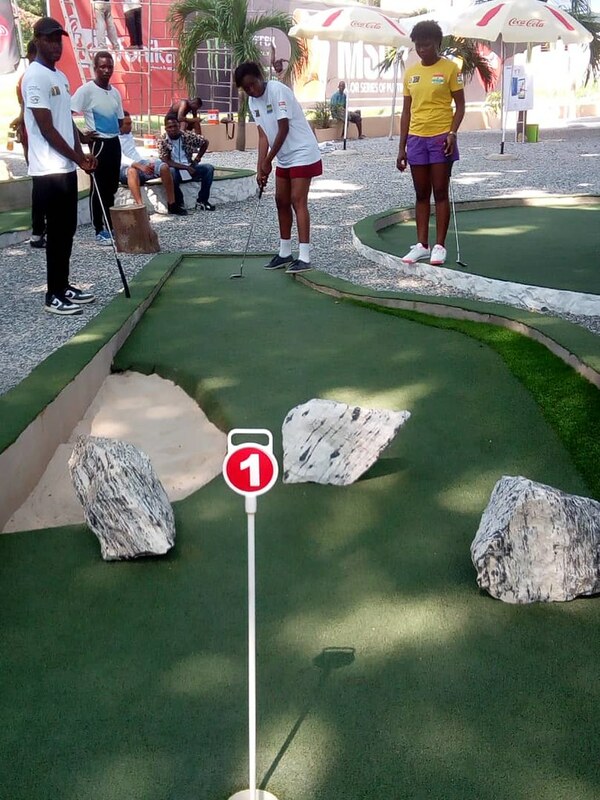 The maiden Open African MiniGolf championship is made possible by the Ghana Mini Golf Federation (GMF), Coca Cola, with support from MTN, Telefonika and the Major Series of Putting (MSOP) U.S.A. The GMF is a part of the World Minigolf Sport Federation (WMF). Thank you to Talal Fattal for providing information for this article. TheGolferOnline also has several articles and many pictures from the tournament and we encourage you to also view their coverage.